Here is a smart stylus that lets you draw and take notes on your iPad more conveniently. The Bamboo Fineline 2 has a pressure-sensitive fine tip to provide you with a more fluid note-taking, handwriting, and doodling experience. You can change the tip easily. 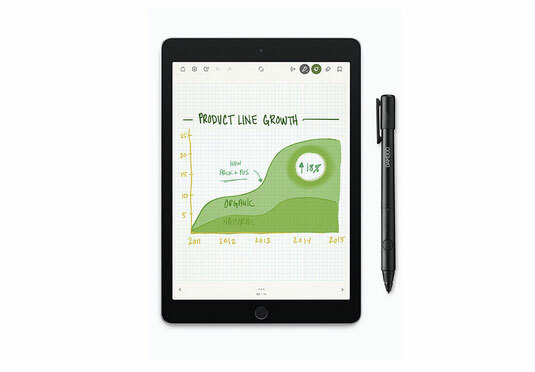 The Bamboo Fineline 2 is compatible with Bamboo Paper, Notes Plus, GoodNotes, and ZoomNotes. This smart stylus is compatible with iPad 3, iPad Mini, and later iPads.